Science, design, and culture are blended together to create one of the newest and best tasting chocolates around. Oahu-based Madre Chocolate offers fantastic chocolate made from both local and international cacao beans but they throw a few more ingredients in as well. Things like passion fruit and hibiscus for example. 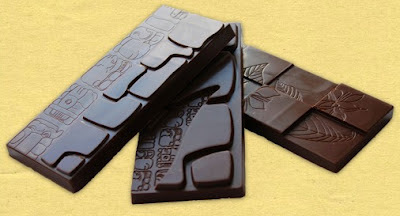 But they also infuse their chocolate - and their business - with a passion for social and environmental responsibility. Dr. Nat Bletter brings the science of ethnobotany and traditional medicine to the table while David Elliott adds years of experience in rural development and environmental justice to the mix. Ono (tasty), Pono (responsibility), and Mana (life force) all 'wrapped-up' in one.